For any bride-to-be, the Hen Night is one of the luxuries and stress free parts of a wedding to look forward to, its a chance for close friends and family to give you a celebration to remember. Classed as your last night of freedom every bride wants to feel special and the centre of attention especially in Essex. So why not hire one of our limousines with a personal chauffeur to take care of you on your big night out in Essex, whether they're transport to and from venues or the party is taking place in the limousine. We also have a party bus available for hire so if you're seriously looking to party all night long why not get all your friends on board and get the celebrations in full swing as you cruise around Essex. 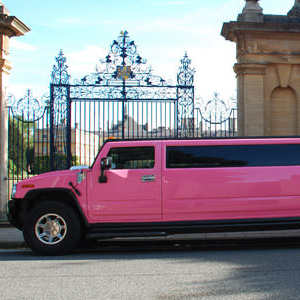 With limo hire from love limos, you are guaranteed to enjoy a fun filled Hen Party with drinks and laughter. For one night you don't need to worry about taxis and how people are going to get to and from the bars and restaurants as the chauffeurs within Love Limos will pick you up and can give you lifts at any time that is convenient for you, even in the early hours of the morning, and will take you home safely. Arrive in style and end your night with a bang with a professional chauffeur driven service in Essex. You're guaranteed to get noticed as you travel around Essex in style. On board the limo you will be treated to a friendly and personal experience including complimentary bubbly to set the tone for the night, the celebrations will be in full swing and you'll be doing it in style and comfort with one of the desirable cars from our fleet. Give us a call on 01992 663 338 to see how we can help to get your hen party in Essex on the road and on track to be a brilliant night. For hen party limo hire or hen limo hire in Essex, make sure you get in touch with Love Limos.